Do Medicare Penalties Align With Patient Centered Outcomes? ...At least one recent paper says they do not. A recent University of Michigan paper asserts that financial penalties would have been "substantially altered" if 30-day readmission and mortality were considered equally important. The authors go on to assert that "most patients would rather avoid death than rehospitalization". 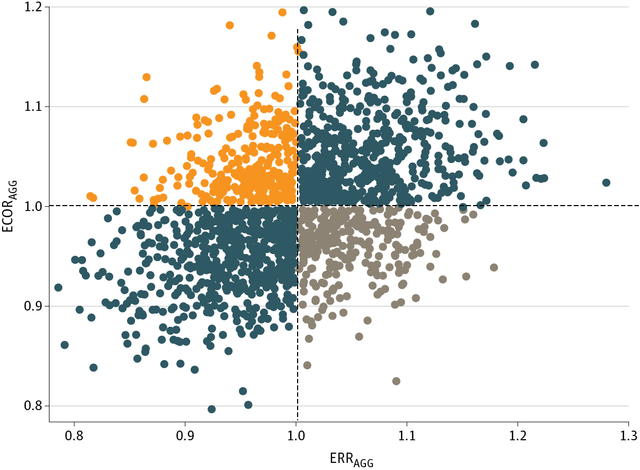 Caution, however: the fact that the work indicates Medicare penalties are associated with excess readmissions, but inversely related to excess mortality, does not mean Medicare penalties cause the issues seen with these important endpoints. In other words, again, correlation is not causation. That said, this paper really makes us wonder about how alignment in US healthcare is related to Medicare penalties, and whether these penalties are pointed toward the right endpoints. Oh, and one more thing: take a minute and do some math to calculate the total amount your health system stands to lose in Medicate penalties. Why? Last time I did the math for an intermediate sized hospital, the total potential amount withheld was about $280,000 (calendar year 2014). Why does that matter? It matters because the median amount recovered (Cost of Poor Quality) by a Lean Six Sigma healthcare quality improvement project (just one!) is $240,000 (calendar year 2014). This leads to an interesting recommendation: focus on improving quality in your healthcare organization with standard Lean Six Sigma quality improvement projects, and you're likely to recover much more than you would by paying attention to CMS withholds alone. In fact, when you improve your own systems, the CMS endpoints are often likely to follow your other improvements! In fiscal year 2014, financial penalties for one-third of US hospitals would have been substantially altered if 30-day readmission and mortality were considered equally important. Under most circumstances, patients would rather avoid death than rehospitalization. Current Medicare financial penalties do not meet the goals of aligning incentives and fairly reimbursing hospitals for patient-centered outcomes.